The 2016 Travelers Guide has arrived! Meet me at the NRA Show in Louisville! Is it worth five bucks to you? new gun owners to our ranks! who "get it" about gun ownership. a newcomer to the range -- they love it! They ask for more ammo. Like the one you let them shoot. the lies and deceit on TV. You can't take everyone to the range. Some folks just won't go. They have a million excuses. Some excuses actually make sense. And it does take time. A way to soften them up. when you get four to give away. when you give them one. They open it and look inside. that bounce around in their heads. Questions gunless people always ask themselves. Why would I even want a gun? What would my spouse think? Why do so many people keep one? Where would I put the thing? Shouldn't we just ban guns and be safe? Can't a crook just take it away from me? If I got a gun, what kind would be right for me? into people on our side. But you have to DO something. 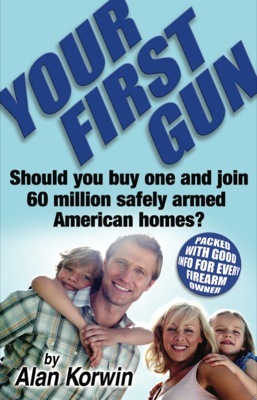 to help save your precious gun rights. And want to give it away. 1 Dozen Wholesale Order $48 ! That's just $4 bucks each! Get your Heart Button and wear it! 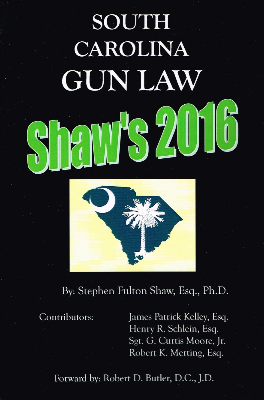 INCLUDES THE COMPLETE LTC OPEN-CARRY UPDATE! All the rules in plain English. Perfect for LTC Trainers and Gun Stores! Get them for your customers -- good for them and your bottom line! Click for eBooks! You CAN take it with you! PLUS LIVE SEMINARS SAT. AND SUN. Marc Victor, Firearms Law Attorney, 11 a.m. Sat. 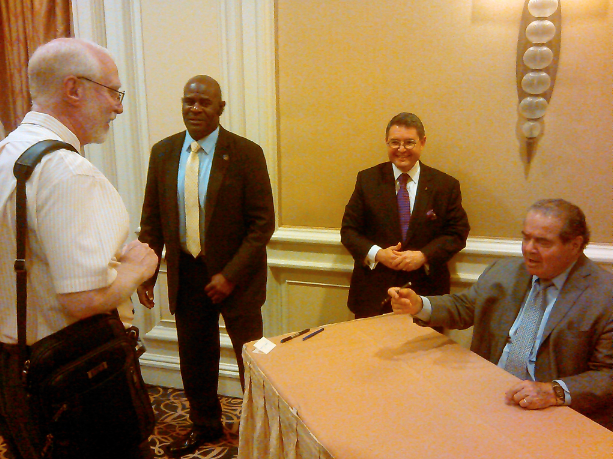 Dinner 5 p.m., Pachyderm's Meeting 6 p.m.
NRA ANNUAL MEETING IN LOUISVILLE KENTUCKY! I've finally gotten around to posting a list of my work for The Daily Caller and Townhall.com. Of all the preposterous nonsense anti-gun-rights people have concocted, “invisible” x-ray-proof guns may be the most bizarre. They did this when the superb Glock safe-action pistol was introduced, and became the choice of police departments worldwide. Easily spotted at airport checkpoints, their fears were baseless, but they once again interfered with reality. The claim that self defense is uncommon, because it never appears on nightly news is just a measure of bias in news rooms, that won't show the millions of annual defensive gun uses. To believe the media narrative you’d think the NRA is more powerful than the top 50 real power lobbies, like banks, drug makers, import-export, telecom, computers, railroads, automakers, retail, lawyers and the rest. It's not even just the NRA, it’s the 100 million gun owners who cling to their guns and rights. As far as phony gun buy-back schemes, criminals don't turn in their guns for $100 grocery cards, and the schemes are virtually illegal straw purchases, using out-of-state money and ought to be prosecuted. Only $14.95 -- New for 2016! Be first to get one! 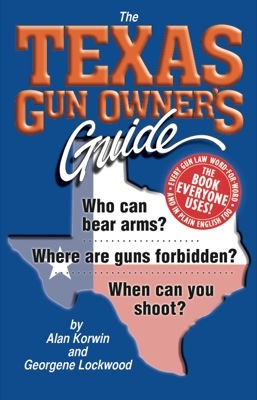 Changes include: air guns, aliens, rights restoration, school grounds, one-gun monthly repeal, out-of-state purchases, gun shows, reciprocity abuses by government, car-carry exceptions, carry without permits, drinking while armed, fingerprinting, change of address, carry at worship, special cities, glove boxes, sawed offs, preemption, ranges, common law, National Forests, hunting, land owners and more... what? 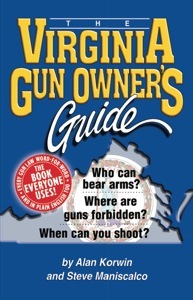 You don't have The Virginia Gun Owner's Guide? Barack Hussein Obama has decided to skip the funeral of recently deceased Supreme Court Justice Antonin Scalia, whose dedication to the Constitution and the rule of law does not closely match Mr. Hussein-Obama's, according to leading experts. The District of Columbia vs. Heller case, considered by the firearms community to be among Justice Scalia's finest pieces of work, is being made available in annotated form and on special terms by Bloomfield Press, the nation's largest publisher and distributor of gun law books. 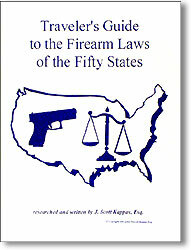 The book, The Heller Case, Gun Rights Affirmed! here: https://www.gunlaws.com/hc.htm became an instant classic, spelling out in plain English what SCOTUS Justice Scalia had written in crisp, compelling legalese, having been assigned the case by Chief Justice John Roberts. It confirmed that the Second Amendment is an individual right of American people, despite fabrications and concoctions invented by leftists to deny the right people had exercised for more than 200 years. The opposition claimed the right was "collective," and belonged to no person in particular, a false perspective expressed in the dissent, which the book includes. In addition to every word of both the decision ("the holding") and the dissents, the book highlights hundreds of important quotations in the texts and features plain English summaries of every aspect of the case, plus explanations of how the case came to be, who the various players are, and how the Court works. "News" media typically exhibit an abysmally low understanding of such things, misleading the public, you included, unfortunately. 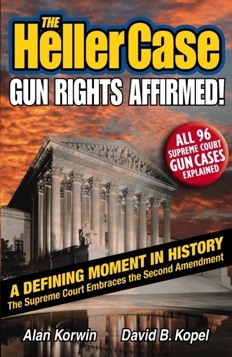 The Heller Case, Gun Rights Affirmed!, https://www.gunlaws.com/hc.htm also includes three other Supreme Court important gun cases that were decided before the Heller case, but after Supreme Court Gun Cases, the unabridged guide to the Court's 92 prior gun cases Supreme Court Gun Cases https://www.gunlaws.com/supreme.htm. Journalists constantly and inaccurately say the Court has been largely quiet about guns but that is totally false -- they have used some form of the word firearm more than 2,900 times in those decisions, consistently recognizing an individual right to keep and bear arms. This is reflected in the fact that in America we have gun stores, we have always had gun stores, and you don't need to join a state militia to walk in and buy as many firearms and as much ammunition as you like. 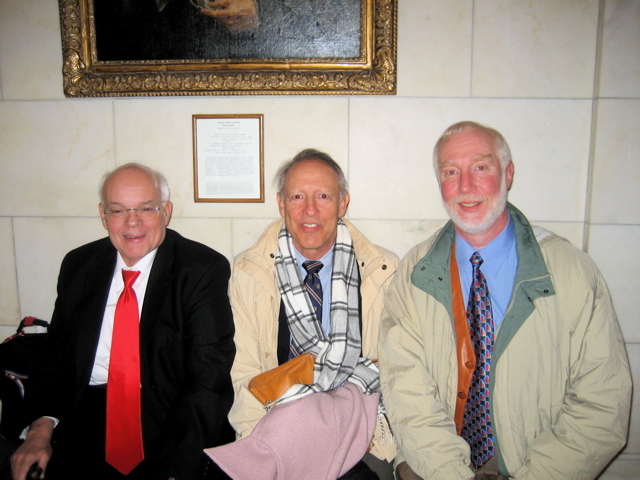 downstairs at the U.S. Supreme Court. You can tell how cold it was, we were bundled up. The Heller Case, Gun Rights Affirmed! is a joy to read and a tribute to the memory of one of the finest legal minds to ever grace the Supreme Court bench. If you have never actually read a High Court decision, this is the place to start. It is an education, an exhilaration and rollicking good fun all at the same time. Reading Law, which I'm working my way through. that saved your right to keep and bear arms. Will not rot your brain. of the 96 Supreme Court gun cases that came before this seminal gun case. Two copies only $30, save $19.90! South Carolina Guide for 2016! Get my 12th book, After You Shoot: Your gun's hot. The perp's not. Now what? 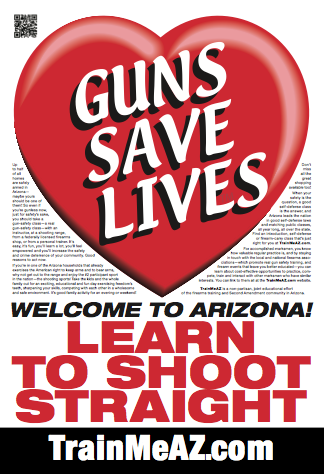 https://www.gunlaws.com/AYS.htm, virtually as important, so you don't end up in more trouble than the crook. during your political career are you most proud of? Can you believe that Hillary is proud to call half of America her enemy? How does she expect to lead our nation if she called its citizens her political enemies? Just go to GunLaws.com and sign up on the home page. Get (or give!) 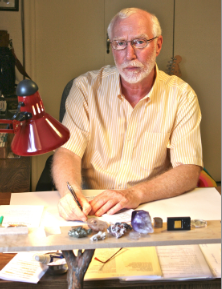 Alan Korwin’s best-selling national titles, and save money too. The groundbreaking After You Shoot (so you don’t help convict yourself), Gun Laws of America (the unabridged guide to every federal gun law), The Heller Case (the lawsuit that saved the 2nd Amendment), Supreme Court Gun Cases (on CD), Bomb Jokes at Airports (help save free speech), plus 100 Guns Save Lives heart stickers, and his latest, designed to bring your gunless friends on board -- Your First Gun: Should You Buy One and Join 60 Million Safely Armed American Homes? A smokin’ deal! Just enough humor and irony to keep this lighthearted. You'll know why Alan has such a dedicated following. Includes all the changes, reciprocity, everything. AVAILABLE NOW! • Be first to get one! we'll take it from there. Easy. Be sure you have enough of this one! Smart store owners -- a revenue stream. You get something, we get something, it's better. Don't wait, be smart, do it.